I was very proud to have been asked by the owners of this unique and luxurious sailing yacht to supply the antique furniture for the six spacious guests’ cabins and the owners’ lounge and sleeping areas. I worked closely with the owner, Luciana Vittoria, during the yacht’s construction in Southhampton, to satisfy her highest specifications for unique pieces which would beautifully complement the overall ambience of the Mirabella V’s interior design. 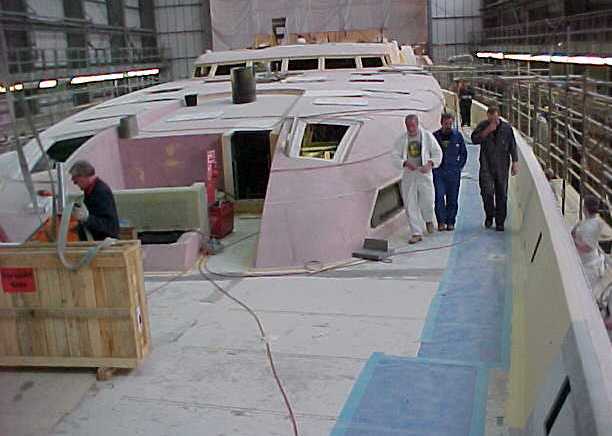 After an exhaustive search I succeeded in finding all the pieces required, taking them to the Vosper Thornycroft shipyard in Southampton, during the yacht’s construction, where we tried them in various positions. When approved they were restored and their surfaces sealed with a special heat resistant polish. 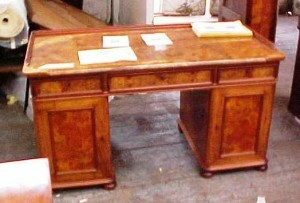 After that I had the interesting task of lining all the cupboards and drawers with fine Italian silk. The furniture was then secured to the walls and flooring to protect them during rough and turbulent seas. The result is totally in keeping with Luciana Vittoria’s vision for the interior decoration of the Mirabella V.
Since the launch, in 2003, I have been to the docks in Southampton and Genoa, Italy to carry out essential maintenance to keep these pieces in the condition their surroundings demand.